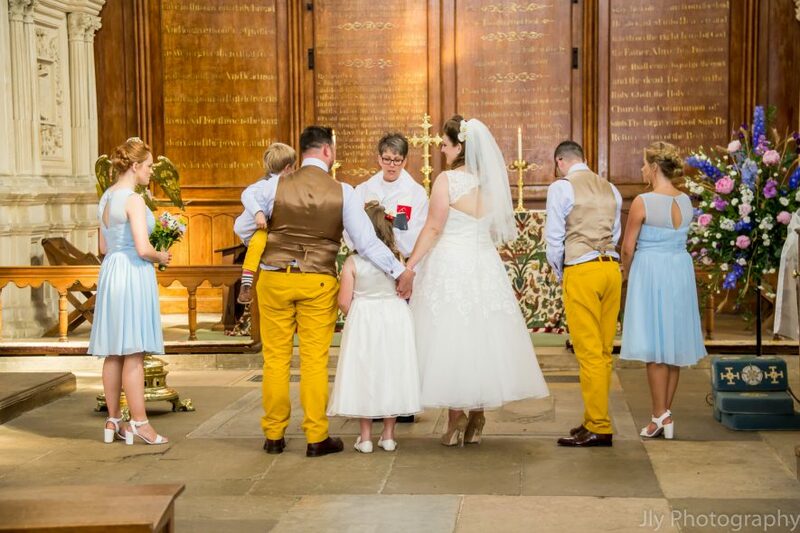 After a very busy June, July bought a lovely unexpected Wedding my way! With the happy couple both living in Switzerland and Mike being from Cypriot descent, it was going to be an exciting day! The wedding took place in the beautiful village of Stoke Albany at St Botolphs Church. which was where Michelle grew up and many of the friends & family still lived. Mike’s family flew in the night before and was treated to our lovely british summertime! The Wedding Service was both english traditions and Cypriot traditions which was just perfect, with the best man placing wedding crowns (Stefana) on the bridal couple and performing a prayer for them both. After the ceremony and traditional wedding photos, it was off to a beautiful 17th Century Country House known as Highgate House in Northamptonshires rolling countryside. The wedding breakfast was served in the absolutely stunning Baronial Drawing Room of Highgate House, where emotional speaches and cutting the cake also took place. Afternoon drinks for the guests as the happy couple tended to their beautiful baby boy, who was very much part of the celebrations! With a buffet and disco that saw the guests celebrate the happy couple well into the early hours of Sunday morning.